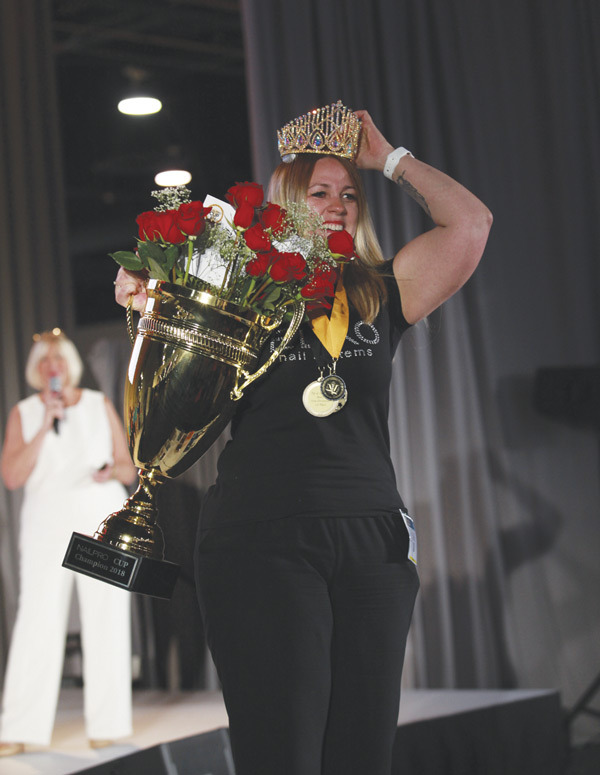 The 2018 NAILPRO Cup victor open up about life, contests and her love of nails. 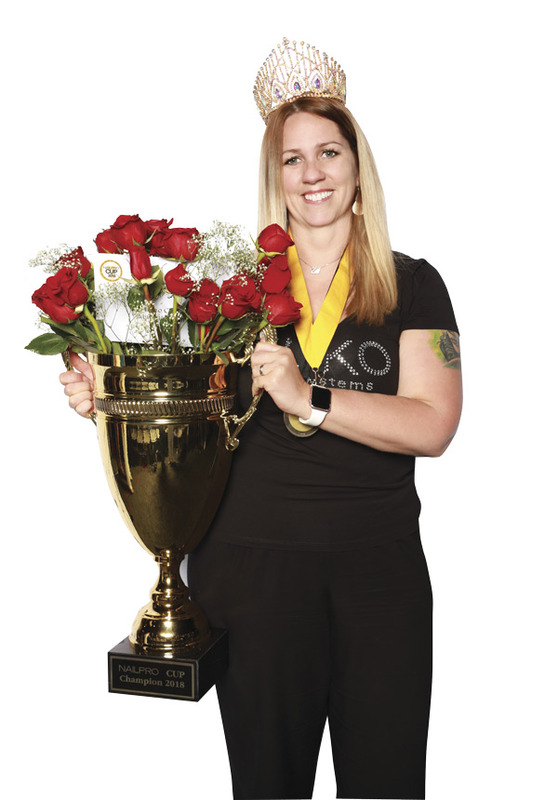 The winner of this year’s coveted NAILPRO Cup, Emese Koppányi, is no stranger to tournaments. Originally from Budapest, Hungary, the talented tech has been competing for nearly 20 years. She got her start with basic pink-and-white acrylics in 1999 before going on to train with legends like Tom Bachik, Tran Nguyen and the late Tom Holcomb. Today, the Glendale, California-based artist runs Edko, a nail brand she founded with her husband, fellow mani master and French native Frédéric Edange, and she’s won more contests than can be counted on 10 perfectly polished fingers. Koppányi sat down with NAILPRO to talk about the joys and challenges of being a champ. As a child, were you always interested in nails? I used to bite my nails until I turned 16 and noticed how some of my older friends had long, beautifully polished acrylics. It looked like art on fingers. I convinced my mom to send me to beauty school, and after I got my license in 1998, I knew I’d started something special. I was named European Champion at the 2004 European Masters’ Awards, and eventually used those winnings to get to the NAILPRO Cup. You’re married to a fellow nail tech and competitor. How did you meet him? Fred was in the French Marines before a friend introduced him to the art of nails. He began competing in 2011 and realized he needed someone to train him in pink-and-whites. He’d seen a video of me winning the World Championship in Monaco the previous year, so he drove his motorcycle 900 miles from the South of France to Budapest. We’ve been together ever since. The last time we faced off against each other was 2016, when he beat me by one point at the International Salon & Spa Expo in Long Beach, California. I hate losing, but losing to my husband isn’t all that bad. How did you react after learning you’d won the 2018 NAILPRO Cup? 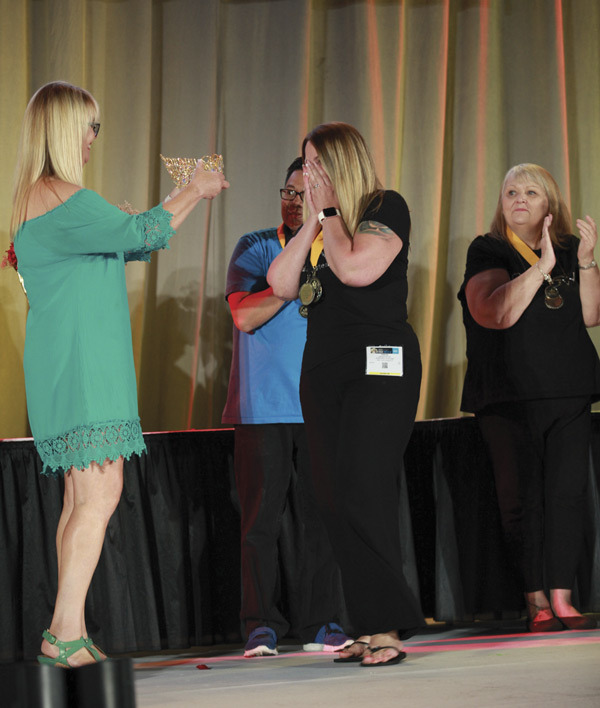 I burst into tears, then yelled for my model, Evi Vadne, to join me onstage. We’ve worked together for 13 years. I know her hands probably better than my own. 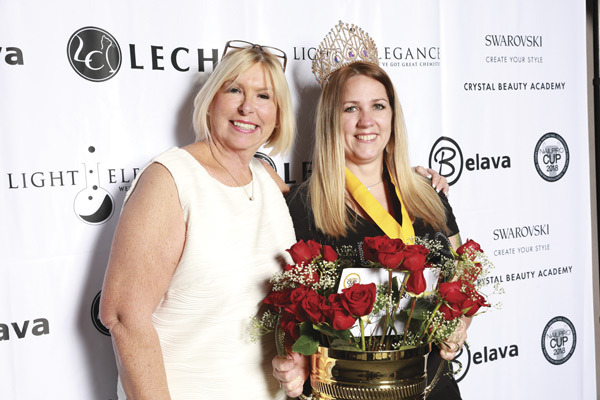 After winning, I spent a lot of time trying to keep my crown on—it kept slipping off! What has this experience taught you? I’m a fierce competitor, but I learned that in order to succeed and be a true professional, you must allow yourself to be vulnerable and kind. If other technicians need help, give it. We’re all in this together, and after the contests end, we’re all friends. Surround yourself with a team of knowledgeable experts, like I’m lucky to have at Edko. What category did you find most challenging? Nail art, especially Fantasy Nail Art, is outside of my comfort zone. I’d never done it before and probably won’t again! It’s a lot of work. I have tremendous respect for experts who excel in this field. Has this win changed you? Personally, not at all. Professionally, only in the sense that it lends real credibility to Edko as a quality line of products. We thought about all the annoying things that can go wrong when doing nails, and then created a brand to fix them. On the shelf, customers may only see an Edko brush. But after a demo, they’ll think they’re using a magic wand. Any words of advice you might give a newbie contestant? Ask for help when you need it. Train in areas you don’t feel confident. And, most importantly, find a model who supports you, and stick with her. What’s the best part about being this year’s victor? Proving to myself that I’m a good technician was really special, but I’m most proud of how I supported my Edko brand and team. They put their trust in me, and I made good on it. Any plans for next year? I’m a competitor at heart, but I think next year I’ll limit myself only to those categories I love most. This year, I was 100-percent dedicated to the contest. It required tremendous focus and preparation. Because of my new Edko venture, I can’t commit that same time in 2019. I’d never enter a tournament and not take it completely seriously.